I started testing my cheap X470 Motherboard with the new combo BIOS for MSI X470 - Gaming Plus that just gets more impressive each BIOS update adding all the features of the high end X470 Motherboards. Of course I forgot to set my CPU offset voltage before testing but I am OK with the results,so much so I am not sure I will be upgrading to the new X570 Motherboard. 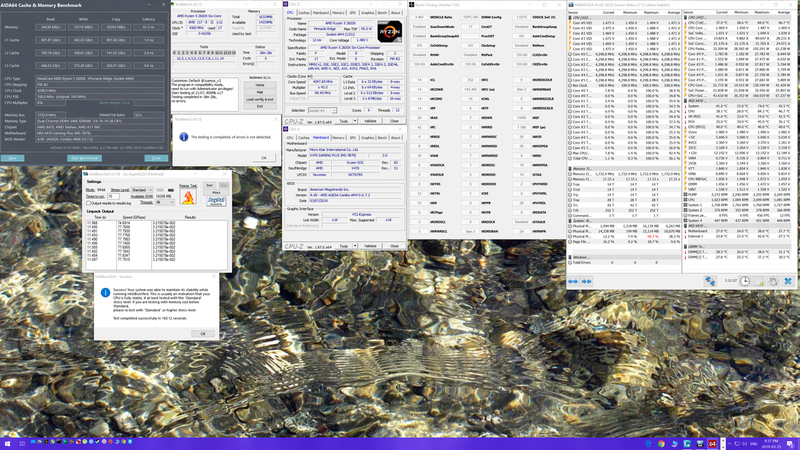 So I am just guessing here ,if the new combo BIOS works well now with 2600X .It should be awesome with new 3xxx CPU. I know people will say but VRM blah blah blah.Anyway a couple test for stability on combo BIOS for those interested. Gotta like AMD for not forcing you to buy new Motherboard every new CPU.